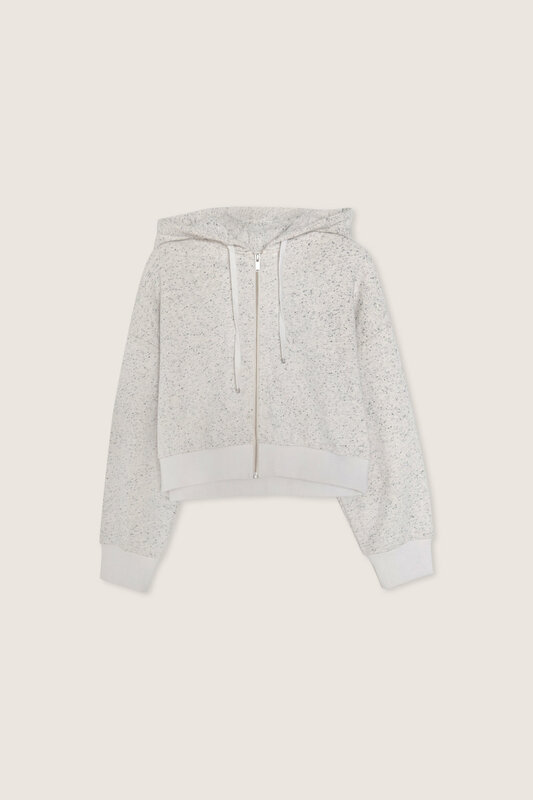 This cropped hoodie features ribbed detailing at the ends and a speckled texture to give off a chic, minimal vibe. 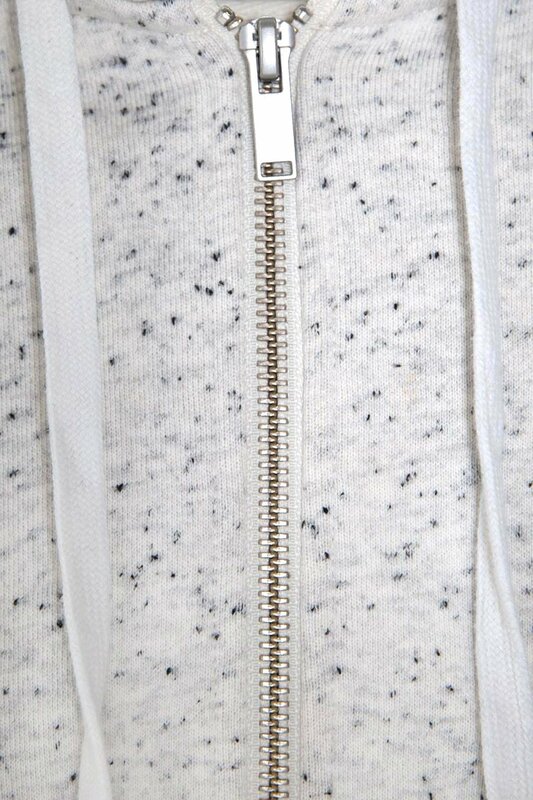 Crafted from 100% cotton, this piece is lined with soft fleece to keep you warm and cozy. Pair this basic with a t-shirt and joggers for a cute, relaxed look.